From heat trace cables to critical equipment enclosures to labor-efficient fastening systems, we empower customers to improve performance, lower costs and reduce downtime. Our mission is to design, manufacture, and quickly deliver the most practical motion control components world-wide. 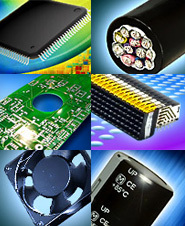 Our portfolio includes everything from electronic, electrical and fiber optic interconnects to switches and application tooling.